Mimsy: Dr. Kookie, You’re Right! Mimsy Review: Dr. Kookie, You’re Right! When my grandfather sat on the front steps wearing his long underwear tops and drinking beer, it never occurred to me that he was a fashion trendsetter. Mike Royko’s final collection of essays, from the second half of the eighties, highlights his bias as much as his great writing. 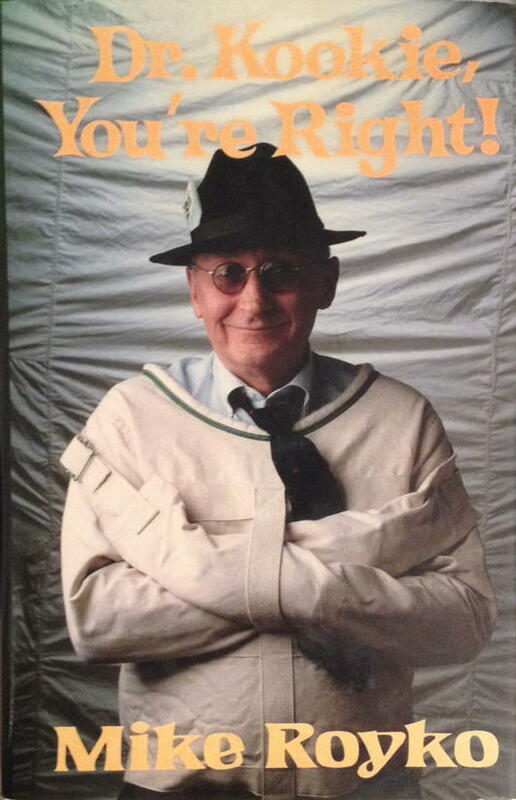 That said, if you enjoy Royko and you run across a copy of Dr. Kookie, I’d still recommend picking it up. The less political pieces hold up, such as the busboy who violently robs his employer and is then eligible for unemployment insurance and his self-deprecating story of taking part in the Great Pie-in-the-Face Craze of the seventies. In response to Mike Royko’s Opinions: Mike Royko would have been almost gonzo if he’d been more Libertarian. Certainly, he was growing that way before he died, especially with his views on drugs and modifying his stand against gun control. If you enjoy Mike Royko, you might also be interested in Mike Royko’s Opinions, The Best of Mike Royko: One More Time, For the Love of Mike: More of the Best of Mike Royko, Mike Royko: A Life in Print, The World of Mike Royko, Mike Royko on firearms, and How to Cut Crime. Writing for what he considered conservatives, Royko seems to have veered off to the left, and straight into confirmation journalism. He digs deeply for sinister motives against Reagan, and ignores them in Democrats such as Senator Robert Byrd. Dr. Kookie, You’re Right! last modified April 14th, 2015.